On behalf of Total Turf Inc & Turf Care we wish to express our sincerest appreciation for your continued patronage. It is because of valued customers that we are able to continue to offer quality product and service. Success and growth over the years is due to our loyal customers, your ongoing support has enabled us to continue and grow in our industry. We continually strive to improve the quality of work and customer service to all of you. Total Turf Inc. has been serving Southern Monmouth and Northern Ocean Counties since 1987 under the operation and ownership of Michael J. Gilmore. We contribute success to skilled technicians who have the training and experience needed to complete jobs in a professional, thorough and courteous manner. Total Turf Inc has an office staffed with friendly professionals to answer calls and schedule service in a timely manner. FYI all contractors in the state of New Jersey engaging in the installation of underground water sprinkler systems must be licensed. 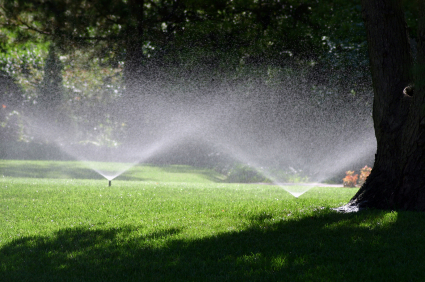 Total Turf Inc. is a member of the Irrigation Association of New Jersey. Michael J. Gilmore holds a New Jersey Irrigation License # 0017261 and a New Jersey Pump Installers License # 0001712. **NEW** Michael J. Gilmore and Michael J. Gilmore Jr. are now licensed Backflow Inspectors through the NEWWA. License #10764 and #10765. It is required under New Jersey state law that commercial backflow preventors need to be inspected every year. This inspection insures that the backflow preventor is meeting state requirements for irrigation systems run on city water.